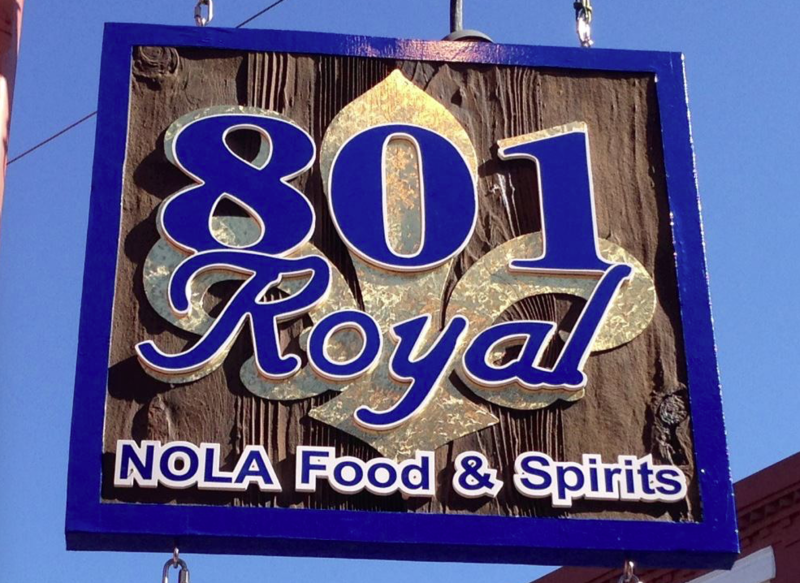 801 ROYAL is an address that has been a part of the history of New Orleans since the 1700’s. 801 ROYAL was originally constructed by the Dorel family in 1776 and then rebuilt in the late 1700’s after it burned down during the Great New Orleans Fire of 1788. The fire burned over 80% of the French Quarter on Good Friday of that year. The building was then passed on through the centuries until it reached the Polizzi Family in 1937, when “Mr. Joe” Polizzi opened his grocery store; Royal Street Grocery at the location. Mr. Joe and his wife, Sarah, officially purchased the property in 1959. Mr. Joe was a very loved and well-known man throughout the French Quarter and ran the establishment until his death in 1991 when his grandson, Robert Buras, continued Mr. Joe’s vision. Robert owned and operated the grocery store until 2007 when Post Katrina New Orleans made it difficult for a small business to remain open. 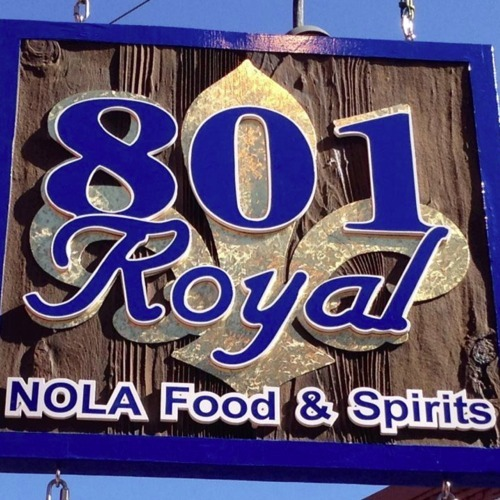 While still owned by the Polizzi and Buras families, Kelly Van Geffen and Mary Toce opened 801 ROYAL…NOLA Food & Spirits in 2012! Kelly and Mary are so very proud to continue the tradition Mr. Joe started many years ago with hands on owner involvement in every aspect of the business and keeping the “family” feel to everything that is 801. As soon as you walk through the doors you feel at home. You become part of the “801 Family”! Our Bartenders and Servers are the best in the business and we are proud to be “where the locals go!” Whether it’s lunch, dinner, late night snacks & drinks, or breakfast; and we watch Saints games on the weekends….801 ROYAL has it all! With 2 big screen televisions, delicious food, great drinks, and fantastic service in a fun filled atmosphere; you can’t go wrong with 801 Royal! So come join Kelly and Mary and the fabulous crew at 801 ROYAL for an unforgettable time in New Orleans! P.S. And Yes! That is a real Chihuly over the bar!